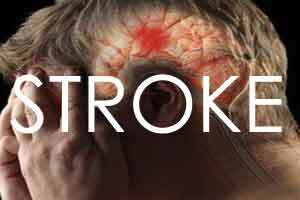 A new research presented at the 11th World Stroke Congress finds a link between recreational marijuana use with an increased stroke risk. The conference is being held in Montreal, Canada from October 17 – 20, 2018. Marijuana is a psychoactive drug from the Cannabis plant mainly used for recreational or medical purposes. It is used by vaporizing, smoking, as an extract, or within the food. It has physical and mental effects such as creating a “high” or “stoned” feeling, heightened mood, an increase in appetite and a general change in perception. The study looked at U.S. hospital statistics from 2010 to 2014. It examined a total of 2.3 million hospitalizations among people who used marijuana recreationally. Of these, 32,231, or 1.4 per cent, had a stroke including 19,452 with acute ischemic stroke (AIS). The researchers found that the incidence of stroke has risen steadily among marijuana users even though its the overall rate remained constant over the same period. The rate of stroke of all types among marijuana users increased from 1.3 per cent to 1.5 per cent. The rate of AIS increased from 0.7 per cent to 0.9 per cent. During the same five-year period, its prevalence among all patients was stable. Hemorrhagic which occurs due to bleeding.